Nylon Bead Cord Carded. 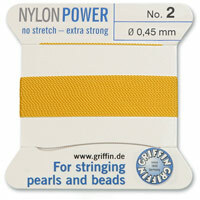 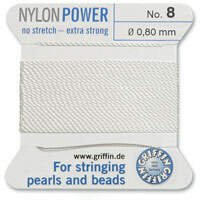 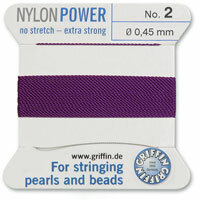 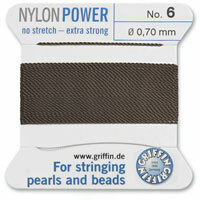 We are proud to carry Griffin brand Nylon Bead Cord, the industry leader in quality. Each Card of Griffin Nylon Bead Cord is 6-1/2 feet in length, and features a quality Beading Needle, attached, and ready for stringing!